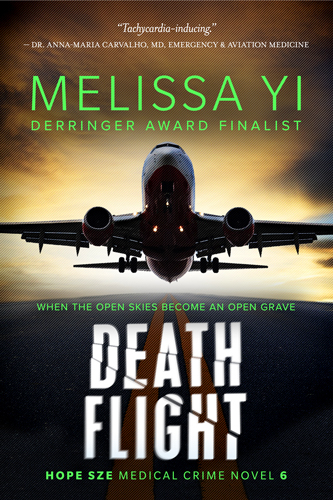 A doctor trapped on a plane with a killer battles to save lives—and wonders if she herself might be the murderer. Facebook party Sept 6 at 7 p.m. here. I figured Los Angeles would be full of Botoxed, Brazilian-waxed blondes honking their BMW’s through the smog, but I was surprised by how much it seemed like any other city—until it launched me directly into hell at 35,000 feet. My name is Hope Sze. I’m a resident doctor who ends up mano a mano with murderers way too often, but right now I was on a different kind of mission. A Christmas mission. I was here to surprise Dr. John Tucker. “Excuse me. You have to check in first,” called a secretary with an asymmetric white bob that was displayed to advantage by a purple backdrop framed in white fairy lights and—was that an aquarium? L.A.’s Healing Hospital sure didn’t stint on its design budget. I gave her a death stare, ignoring the tank burbling behind her. It might lower your blood pressure to watch iridescent blue fish weave their way through seaweed, but I didn’t want orthostatic hypotension. I wanted my man. Tucker nearly died on November fourteenth, when we were both taken hostage. We survived, but Tucker ended up in L.A. for definitive reconstructive surgery after Montreal doctors hesitated to reoperate. Tucker didn’t tell me he was leaving. He flew off and did it. It was up to me to drag him back across the continent. So for Christmas Eve, I’d taken a deep breath and charged a flight from Ottawa to L.A. at the most expensive time of the year. I’d made up for it by taking the bus from the airport. Then I’d marched straight into the Healing Hospital, searching for the closest elevator amongst the sunlit marble walls, until this secretary stopped me. “I’m here to see John Tucker.” I tried to smile. Ever since the hostage taking on 14/11, I’ve got PTSD and a wee bit of trouble with human interaction. Yeah, you do that, since you’re costing him $3,000 a day, even before his surgery. The very name of the Healing Hospital made me want to smash the fresh lotus arrangement on her steel desk, but that would scare the fish undulating behind her. “I don’t have a John Tucker listed,” she said. "Medicine, murder, mayhem, and the most nightmarish story about airlines at the holidays since Die Hard 2. 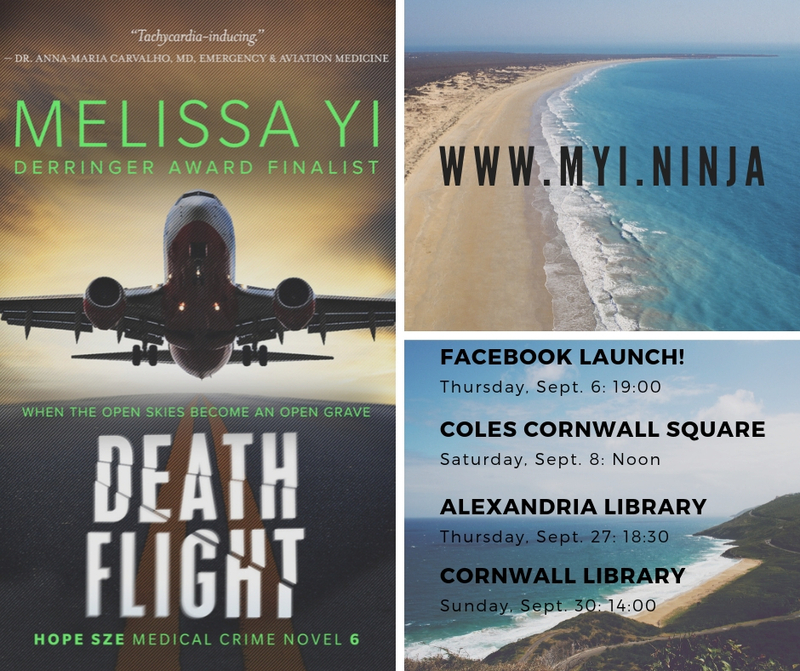 Laugh, learn, and cringe as medical MacGyver and human s**t magnet Dr. Hope Sze faces down lovers and killers, all before the seatbelt sign gets turned on for landing."